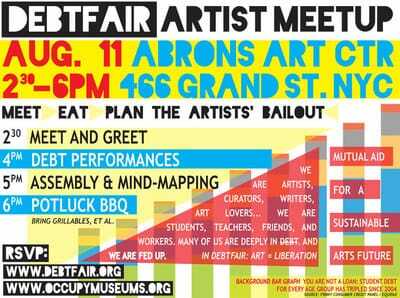 Debtfair (a project of Occupy Museums) is a means of exposing the hidden layer of debt within the art market and its institutions, making visible the relationship between art practice and American financial reality. 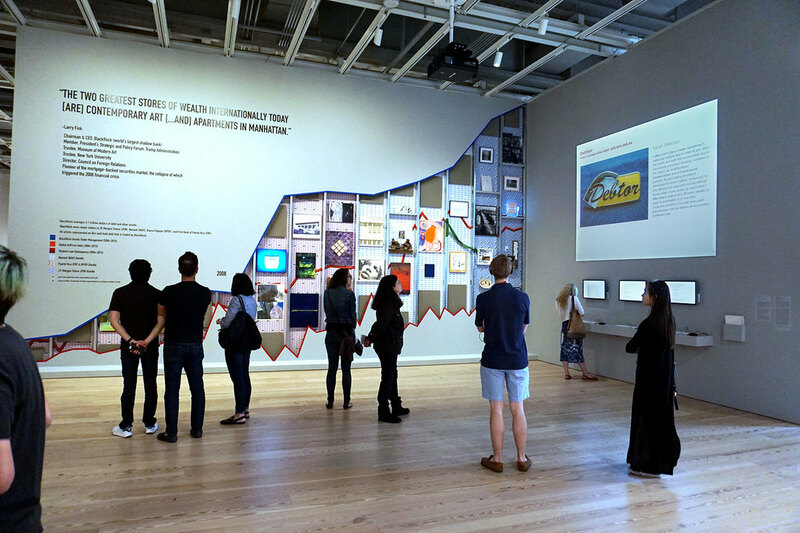 In 2017, Debtfair was exhibited at the Whintey Museum as part of the Whitney Biennial, curated by Chris Lew and Mia Locks, and at El Museo del Barrio. Installation view, Debtfair. Art League Houston, Houston, TX., November 20, 2015 - January 10, 2016.